Peeking inside someone's home can tell you a lot about them, though if what you see is cardboard and your doggy bag of chicken technically they're homeless. 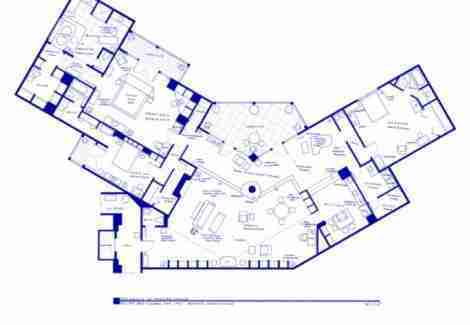 Giving you a peek inside the silver screen's most popular abodes: Fantasy Floorplans. 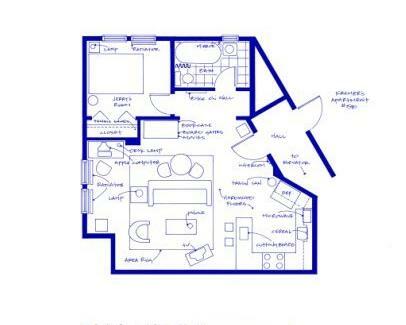 From a chick named Brandi who started drawing blueprints at age seven/loves watching TV, FF's 80+ hand-drawn prints of homes/apartments from beloved TV series (and movies) are each reproduced "as accurately as possible", though explaining all of The Wireing is almost impossible. 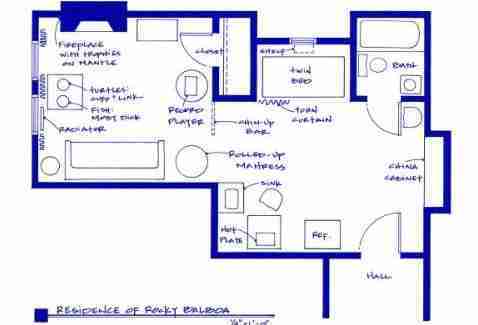 A sampling: Rocky: The one-room digs sport the location of everything from the rolled-up punching mattress, to his record player, to his turtle tank, suggesting he actually broke the space-time continuum simply to bring back a copy of Brooklyn Rules. Magnum, P.I. 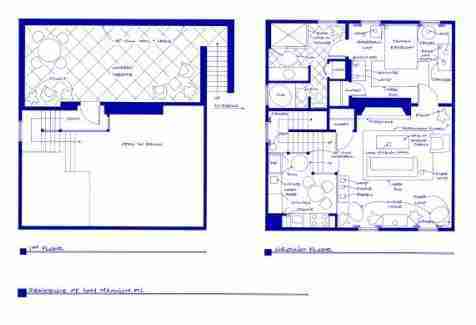 : The guest house is laid out with the whereabouts of his Rolex & Colt handgun (bedroom dresser), what's in the mini fridge (Coops beer), and the location of his lockpicking tools, which proved totally useless for breaking into the vault of whether Higgins was actually Robin Masters! Frasier: Crane's high-rise captures pretentious details like the Dale Chihuly vase in the corner, the replica CoCo Chanel sofa, and the Rauschenberg in the hall, plus adds a few components like a master bath, never shown in the show as he was too uptight to sh*t anyways. Which can't be said of that dude eating your chicken in his cardboard house.